Alspec have joined forces with Danmac to bring you Australia’s most trusted and committed shower screen manufacturer. 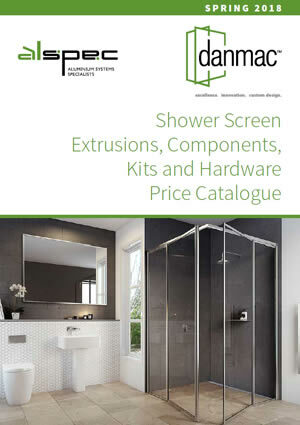 Danmac is a glazing industry leader in design and distribution of aluminium shower screen products and components. They pride themselves on providing the very best in customer service and quality through their fabrication and supply of custom-built products to suit any requirement, style or area. Danmac custom design everything to ensure your exact specifications are met and supply only the finest quality fittings and hardware in the market (including Opus frameless hardware). Note: Danmac is not available in WA.